Showtime wanted to promote the premiere of the award winning series “The Tudors” on the newly launched Showcase to the foxtel and Austar call centre sales force. They requires a product that would generate an air of expectation and excitement amongst their call centre staff. The Tudors is a period drama about Henry VIII. Showtime had three key points to Walkin’s brief. First, deliver an item that tied into the program and helped to educate staff. Second, the item had to be very cost effective in order to be distributed to all call centre staff. Finally, make the item a ‘major talking point’ within the building. 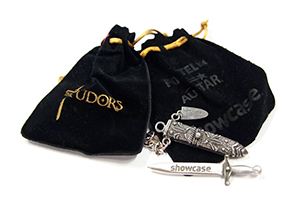 "Walkin’ Promotions added their own creative elements conveying a sense of history and authenticity to replica dagger keyring which made it “one of their most successful pieces of merchandising ever used in educating and communicating to call centre staff”. Showtime was thrilled with the positive sales response from both Foxtel and Austar following their education sessions. 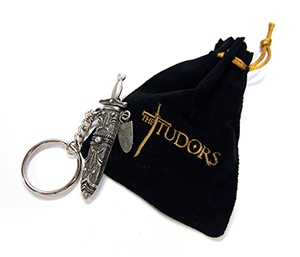 The tangible reminder helped the call centre staff focus on promoting The Tudors and enrolling new subscribers. 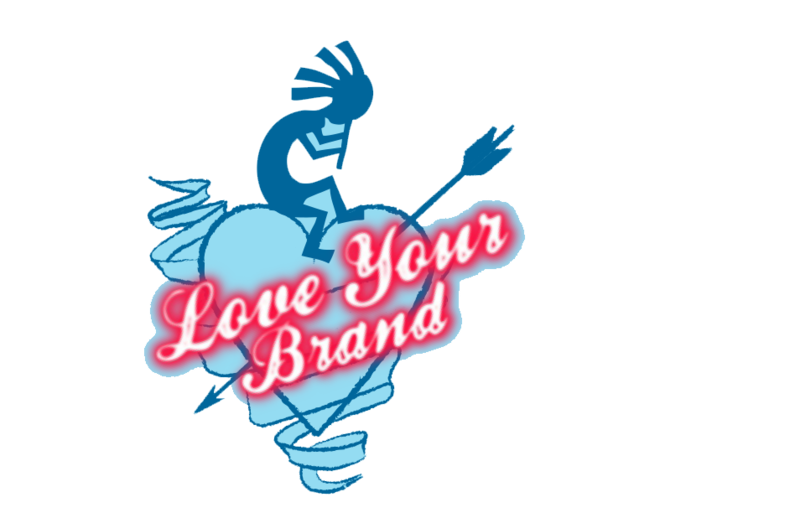 - Product design is exceptional for the price point. - Great attention to detail in packaging and presentation. - 100% creative from the promotional company. - Strict efforts taken in safety and production standards while still meeting short lead times and budget restraints.